We reviewed the Hercules RMX 2 Digital DJ Controller over two years ago, but this new video by DJ Timm United lets everyone know that this compact and powerful controller can still rock the stage quite well. 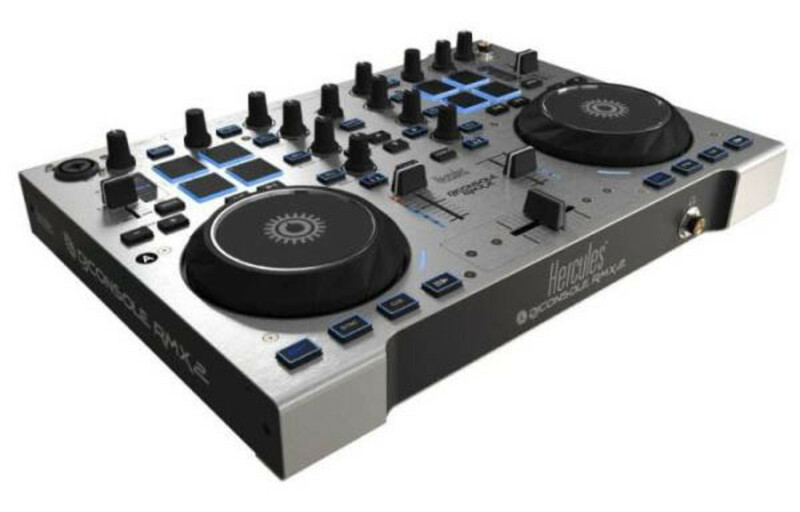 The Hercules RMX 2 has a solid metal chassis, velocity sensitive pads, and a true standalone mixer mode that can be used with external timecode turntables or CD decks for DVS playback. Check out our full video and written reviews of the Hercules DJConsole RMX 2 then watch DJ Timm get busy. 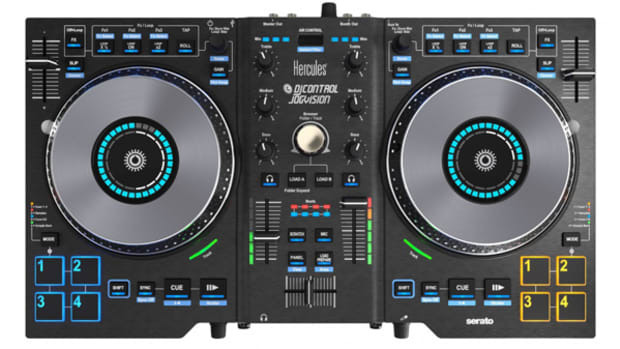 The newest DJ controller released by Hercules, the DJConsole RMX 2 has now been announced. 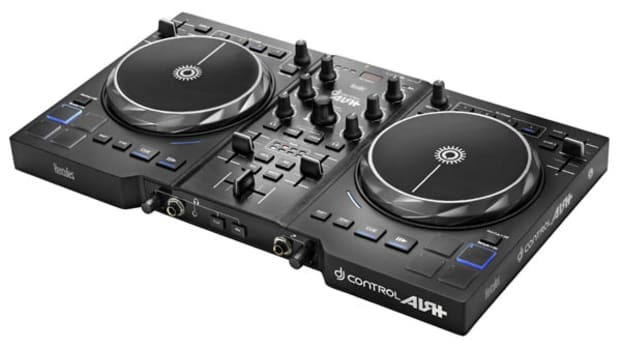 The DJConsole RMX 2 is perfect for fans of the original DJ Console RMX and new mobile DJs looking for professional gear combining performance, versatility and mobility at an affordable price. Just like the first RMX controller, this Hercules RMX 2 is made up of a metal chassis, comes with Virtual DJ LE 8 (when it's released) and has lots of controls that are customizable for any DJ's needs. Check out the press release inside. Earlier this year we brought you a story about the newest DJ controller from Hercules called Air. 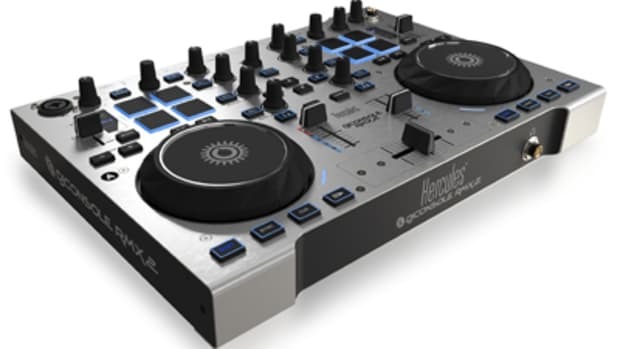 Now the Hercules Air all-in-one DJ controller has finally showed it's face at the NAMM 2012 show in California. 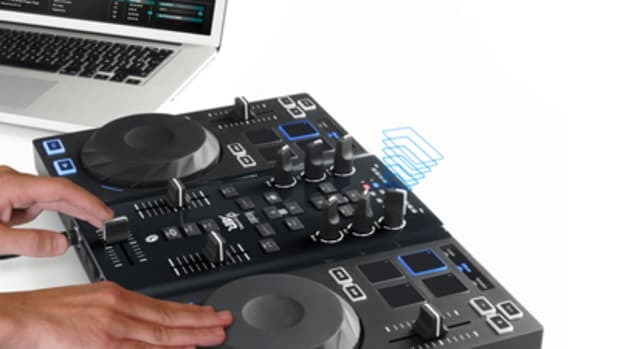 This new controller that uses thin air to create and trigger cue points and loops is definitely something different and innovative that some DJ's may have lots of fun with. Check out our NAMM 2012 Hercules Air rundown video inside.